Modern art knows no boundaries. The statement rightly applies with Floral Art Designer Rugs. The soft colours used in making floral patterns really mesmerize the onlookers. Hand-woven and pure wool made these rugs are well known for stain-resistant texture which means you need not invest your valuable time in taking special care of them. Moreover, anti-fade features of these rugs keeps them remain new for a longer period of time. Eco-friendly fibres are extremely durable to withstand test of time. Overall, if you are longing for a home décor accessory which has unconventional beauty in them then these rugs will be appropriate for that drawing room space. 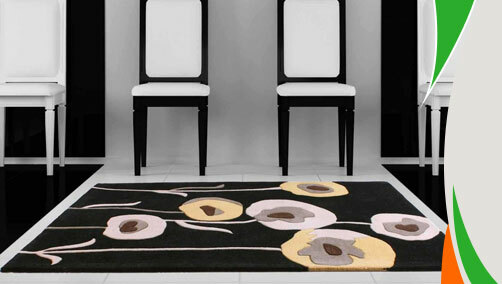 These rugs are available in medium and large size with following size variations: 90x150, 120x170, 160x230.